Add a fixed bar with Add-to-cart button on the top/bottom of mobile screen while customers scroll up/down the screen. 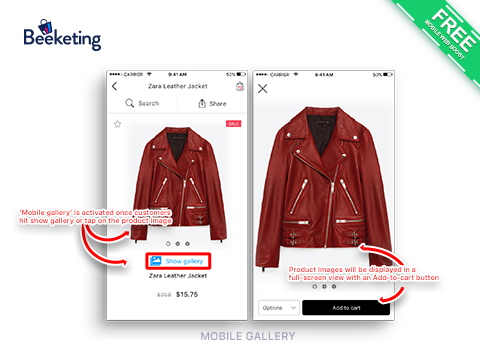 Show a full-screen gallery view of product images so that customers can have the most detailed visual look of your products on mobile. Optimize user experience on your mobile web, boost mobile conversion rates and sales. Mobile commerce is the future of eCommerce. Mobile traffic has reached 69% of total traffic in eCommerce. However mobile conversion rate is lower than 2% across all devices. 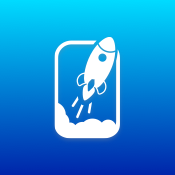 Mobile Converter app is totally free for all eCommerce merchants. You will have unlimited access to all features and future updates, together with our 24/7 customer support service. 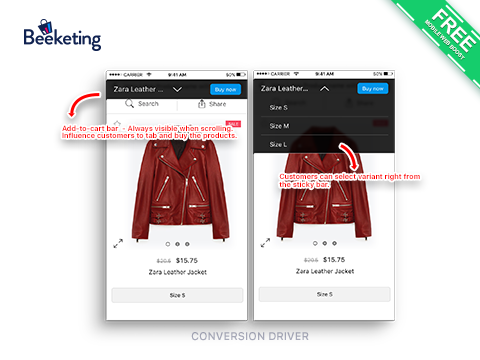 Conversion Driver: Set a fixed Call-to-Action bar on top or bottom of the mobile screen while your customers are scrolling up or down on the product pages. Make the Call-to-Action button stand out, always available, to motivate customers to hit the button and buy instantly and conveniently in just 1 click. Mobile Gallery: Display your product images in a full-screen view with a sticky Add-to-Cart button. Customers can view every detail of your product in the clearest visual presentation, and add to cart in just 1 click.